This case study analyzes the reasoning processes and types of information that we need to embed in collaborative software systems in order for these systems to demonstrate intelligent behavior and allow us to interact with them in a natural way. The central character of the case, Kate, is a college student who lives in an “intelligent” dorm room that converses with her as a friend would. 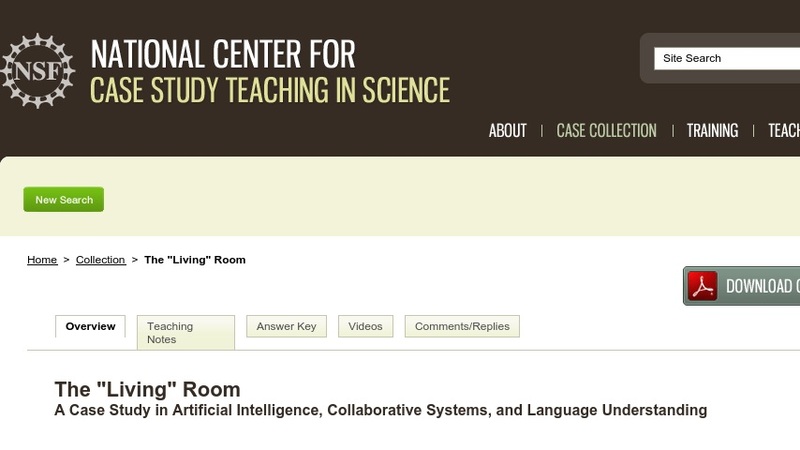 Developed to introduce the ideas of collaboration and natural language understanding in an upper-division course in artificial intelligence, the case can be adapted for non-technical audiences for use in developing critical thinking skills.